This residential Fellowship, awarded biennially, recognizes an emerging designer whose work articulates the potential for landscape as a medium of design in the public realm. It builds upon the Gardner's Artist-in-Residence program that has fostered creativity and collaboration in the arts for over two decades. Landscape architects and designers from a range of allied design professions including architecture, engineering, urban design, and planning, as well as the horticultural and garden arts, who can demonstrate a significant engagement with the landscape medium are invited to apply. 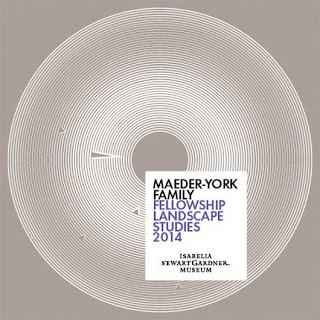 A jury comprised of international figures in landscape architecture and allied design disciplines will select the 2014 Maeder-York Family Landscape Fellow. The two-stage competition process will identify a short-list of up to five finalists who will be invited to interviews with the competition jury who will recommend a winner and runner-up to be announced in February 2014. -Fellowship and residency will be June 1- August 31, 2014. -A monthly stipend of $5000.00 will be provided with an apartment/studio space. -The fellow is expected to deliver a public lecture as part of the Gardner Museum's public programs. 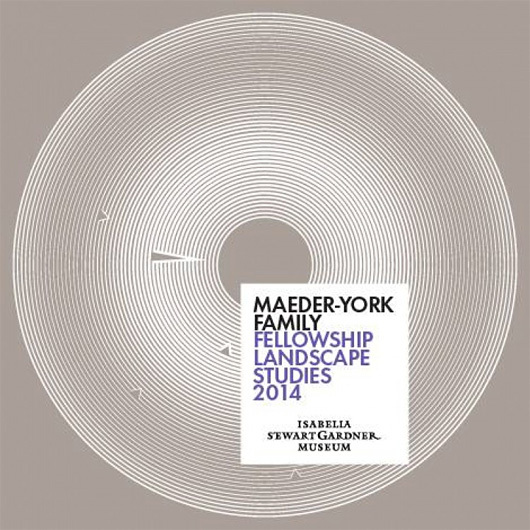 Learn more about the 2014 Landscape Fellowship at the Gardner Museum here.